Slowing your drinking rate decreases the amount you’ll likely consume in a single session, reduces the odds of drunkenness and reduces the chances of alcohol abuse problems. It’s all good stuff, but for a lot of us, it’s easier said than done! Fortunately, researchers in the UK may have stumbled upon a solution – drink out of the right types of glass and you’ll naturally drink much slower. 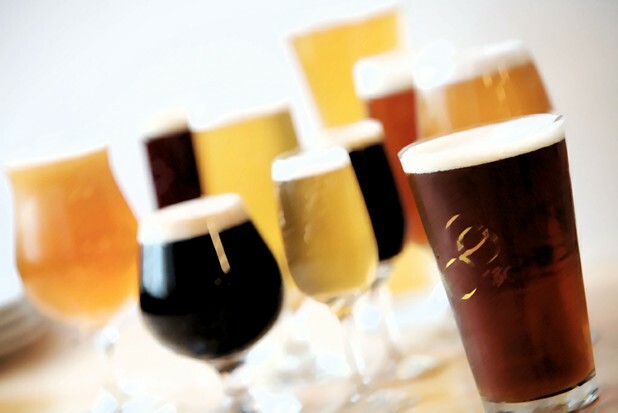 To see what influence glassware might exert over rate of consumption, the researchers had 160 social drinkers between the ages of 18 and 40 come in for 2 sessions to drink alcoholic and non alcoholic drinks in different types of glassware. When shown pictures of straight-sided and curved-sided glasses holding varying quantities of liquid, the subjects were far less able to accurately determine when curved-sided glasses were half-full, although they had little difficulty on this task with straight-sided glasses. The researchers suggest that people’s inability to accurately gauge how much they’re drinking when using curved-sided glasses may account for the increase in drinking rate seen with this type of glassware. Commenting on the take-home message of the results, lead study author Dr Angela Attwood said, “People often talk of 'pacing themselves' when drinking alcohol as a means of controlling levels of drunkenness, and I think the important point to take from our research is that the ability to pace effectively may be compromised when drinking from certain types of glasses." Gauging Consumption: Researchers say people are less able to gauge how much they're drinking with curved-sided glasses.